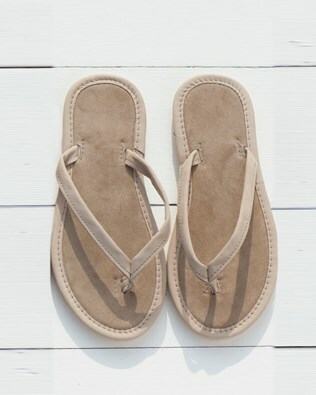 Let yourself in on a secret - Celtic & Co have been handcrafting the finest quality, 100% British shearling boots, suede flip-flops and leather sandals by the Cornish coast for 25 years. If you haven’t tried us yet, now’s the time. See why British is better! 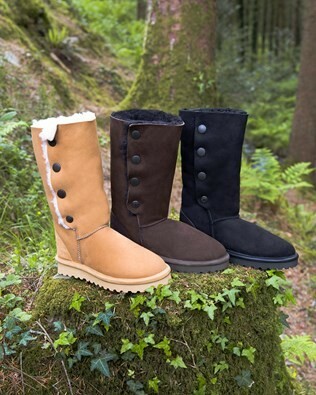 Allow me to enlighten you about a finer quality, eco-friendly, British version of the shearling boot, handcrafted here on the coast of Cornwall from 100% British Shearling (i.e. – not made in China!). British shearling is known for it's thicker, superior qualities and we support British farmers by buying this shearling (a by-product of the UK farming industry), making our products both ethical and high quality. We then specially treat it to be machine washable. Yes I just said that, machine washable! Our boots are double stitched to last a lifetime and feature hidden heel supports to stop slouching and also unslightly heel rolling. We also offer resoles and repairs plus custom orders. It’s flip-flop season again and our Celtic classics will far outdo the average summer offering. 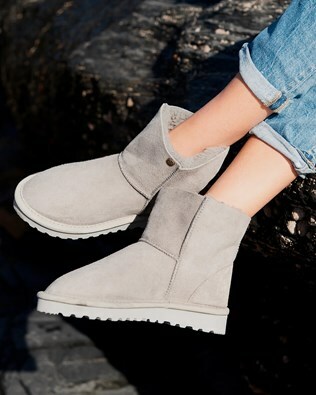 Hardy, stylish and naturally luxurious, they’re handmade in the same workshop as our shearling boots here in Newquay, from soft nubuck leather with a suede foot bed and rubber sole. 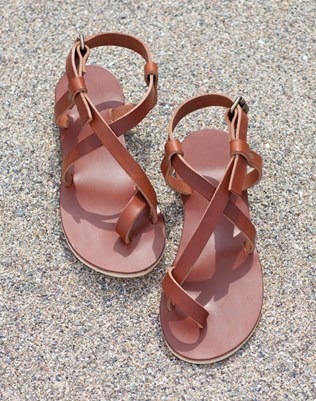 The same goes for our new leather sandals which are available in four different styles, crafted in veg-tanned leather with lightweight, long- lasting rubber soles.